Macenta, Guinea: The United Nations Development Programme (UNDP) has made payments to 758 health personnel working in four Ebola treatment units in Guinea, ensuring their life-saving work can continue without any interruption. UNDP was requested by the Guinea's National Coordination Unit against Ebola to complete existing salaries with incentive pays for the French Red Cross, Doctors without Borders and Alima, three Non-Governmental Organizations (NGOs) operating Ebola Treatment Units (ETUs) in Donka, Macenta, Kissidougou and Nzérékoré. 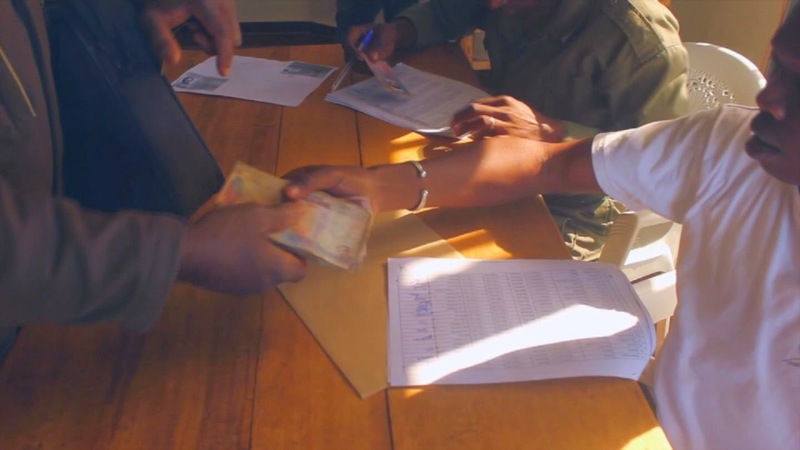 Working with the UN Mission or Ebola Emergency Response (UNMEER) and the World Bank, UNDP helped the Guinean ministry of health to harmonize payrolls, and ensure the USD 220,000 was deposited in local banks so that health workers could easily retrieve it. In Macenta, the payment was disbursed in cash because there was no banking facility nearby.